Anglers must buy a saltwater fishing license when fishing in the coastal waters of the state or taking marine species. The license is required for finfish, shellfish and shells. Separate permit stamps are required for taking snook and crawfish. A special stamp is needed to take and possess a single tarpon. 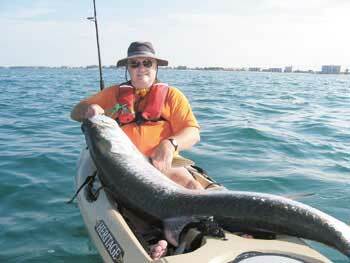 No stamp is needed to catch and release snook or tarpon. Children younger than 16 and Florida residents older than 65. Florida residents fishing in saltwater from land or a structure fixed to land. Persons fishing with a licensed operator of a boat charging fees for fishing. Florida residents who are members of the United States Armed Forces, stationed out of state and home on leave. state of Florida Department of Veterans and Community Affairs or Worker Compensation Notice of Action. Handicapped residents and residents certified totally and permanently disabled. Non-Florida residents fishing from a pier that has paid a license fee. For saltwater licenses, any Florida resident waiting in less than 4 ft. of water. A good rule of thumb is that if you have to pay to fish, you don't need a license, but ALWAYS make sure. Anyone who operates any vessel where a fee is paid either director and erect or purpose of taking attempting to take or possessing any marine fish or noncommercial purposes. Note this is not cover all activities were licenses required to some of the more common ones also paid in addition to a fishing license a permit is required to take or attempted takes note or crawfish and other fish. See the latest Florida Fish and Wildlife Conservation Commission Regulations for more information. You can usually purchase licenses at any Wal-Mart or Kmart stores. You can also order online in advance of your trip. It is unlawful the harvest possess land purchase sell or exchange the following species. Nassau Grouper, Jew Fish, Saw Fish, Basking Shark, Whale Shark, Spotted Eagle Ray, Sturgeon, White Shark, Sand Tiger Shark, Big Eye Sand Tiger Shark, Manta Ray, Spiny Dogfish, Long Spine Urchin, Stony, Hard and Fire Coral, Sea Fans, Florida Queen Conch and Bahama Starfish.